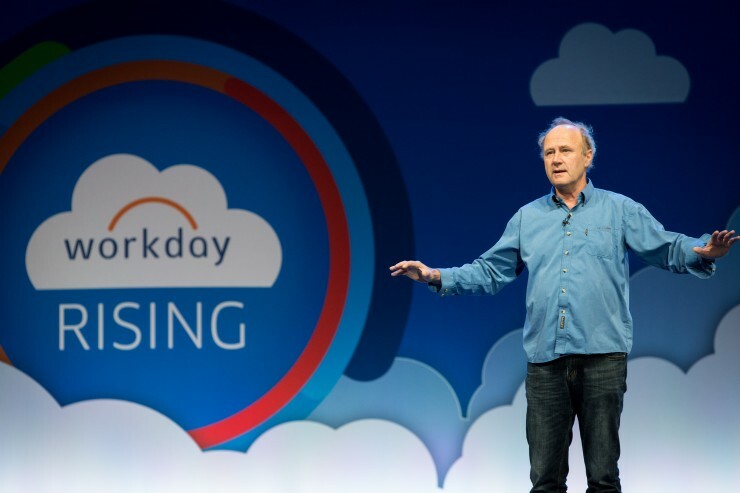 Workday was honored to host Sir Tim Smit as guest keynote speaker at Workday Rising Europe 2015 in Dublin earlier this month. Smit’s creativity and vision are behind the Eden Project in Cornwall, one of the United Kingdom’s most popular visitor attractions. Since opening in 2000 more than 17 million people have come to visit Eden, a global garden housed in tropical biomes and nestled in a former china clay pit the size of 30 soccer fields. Smit is Co-founder and Executive Vice Chair of Eden Project and Director of the Lost Gardens of Heligan in Cornwall, which he led the restoration of prior to creating the Eden Project. We had the opportunity to meet with Smit at Workday Rising Europe and have a conversation on sourcing creativity, leading people to success, and overcoming fear to take on risks. You talked to the audience about creativity and how it comes from the most unlikely places. Where did the idea and inspiration for the Eden Project come from? I think the greatest of all ideas are those everybody has had. I doubt I could go into any classroom in Dublin, or San Francisco, and talk to a 12 year old who hasn’t dreamt at some point of building something like an Eden Project, or a big dam, or a mad Ludwig castle sitting on a mountain. That’s what 12 year olds do. The inspiration for the project was the notion of a mythical valley, a bit like Arthur Conan Doyle’s novel “The Lost World,” in which you could rediscover something about yourself. For me, I felt the inspiration of a place; the china clay mining district of mid-Cornwall, which most people regarded as devastated and beyond redemption. I was completely bowled over by the notion that we could do something very cool in a clay mine, and by doing that make people realize that nothing was beyond repair. Sir Tim Smit talks to attendees about sources of creativity at Workday Rising Europe 2015 in Dublin. So you had the idea, but how did you actually make it happen? Also, Cornwall at that time was recognized as a place in need of economic support, with the average GDP of Cornwall below 70% of the European average. There were funds available, including funds through the U.K. National Lottery’s Millennium Commission. So there was a perfect moment at which the desire for economic regeneration, physical regeneration, and the search for a landmark national project all came together at the same time. On a project of this scale, leadership is critical. How do you approach leadership and motivating teams to do great things? I think most humans have the desire to have an adventure. If you can write a story in which you are creating a stage, and on that stage there is enough space for a spotlight to fall on lots of different players, you will find that a lot of people want to be part of that story. They particularly like it if you lead by giving each person enough authority to really know they had done something themselves. I loved that with Eden Project, because it became their Eden Project. That was a lovely moment. I’ve seen so many good ideas where the champions or leaders of the ideas killed them because of their vanity. It’s good manners, actually. I think almost every great project needs someone that is dogged as hell, but ultimately it is good manners that is driving it. All great efforts require some risk, and you took on considerable risk with both those projects. What do you think stops people from taking on risks? I think many people are brought up believe that other people take risks, and to make heroes of them. There is an unfortunate by-product of this view that only special people can take risks—as if someone was born with a risk-taking gene. Oftentimes we find we have very talented friends who have never had the virtue of having people tell them they’re good. Most people are capable of doing really cool things, if they fall into the right company and are given the right encouragement. I do quite a lot of mentoring, and all a lot of people want is for someone they respect to say, “Go for it.” When you explore with them their fear of failure and the amount of energy they’re putting into that fear, they realize that if they had removed all that anxiety and just taken the risk, they would have had the energy to do it ages ago. A tell-tale sign of a company that is in trouble is when it has a finance department filled up with accountants or financial controllers who understand the risk and the cost of doing things, but have no sympathy for the risk or cost of not doing things. However, very often the way to get yourself out of trouble is to do something that is counterintuitive. We did that—we got into real trouble with the Eden Project in 2012, and had to lay off 75 people, which for us was a huge proportion of our staff. You know what? We then looked at our colleagues, and we realized one of the reasons we had got into trouble was that almost everybody who works at Eden thrives on excitement. We had gone for consolidation, and they were bored out of their tree. So in 2013 we decided to gamble half a million quid on a dinosaur exhibition—it was a really good exhibition. We would have gone bust if it hadn’t come off, but the public came back. It was a great success.